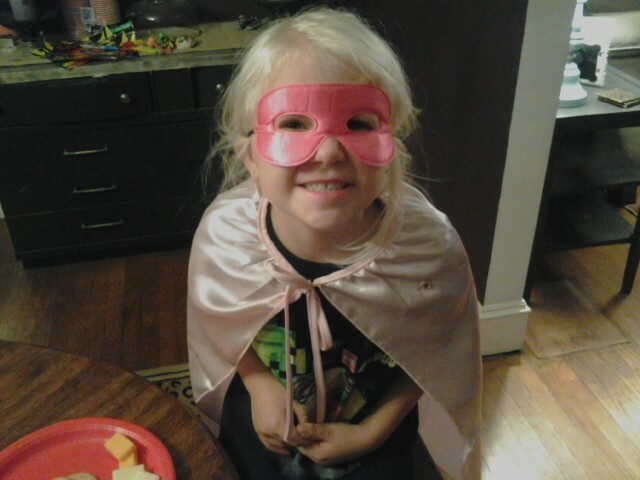 This was taken a while back when I did a Superhero Party for my nephew. I got to be Pirate Girl, by the way. The parents probably thought I was silly, but the kids loved it! Anyways, I was sorting some pictures today, and I saw this one. Sissy is just so stinking cute in it that I had to share it! What do your kids love to pretend to be?